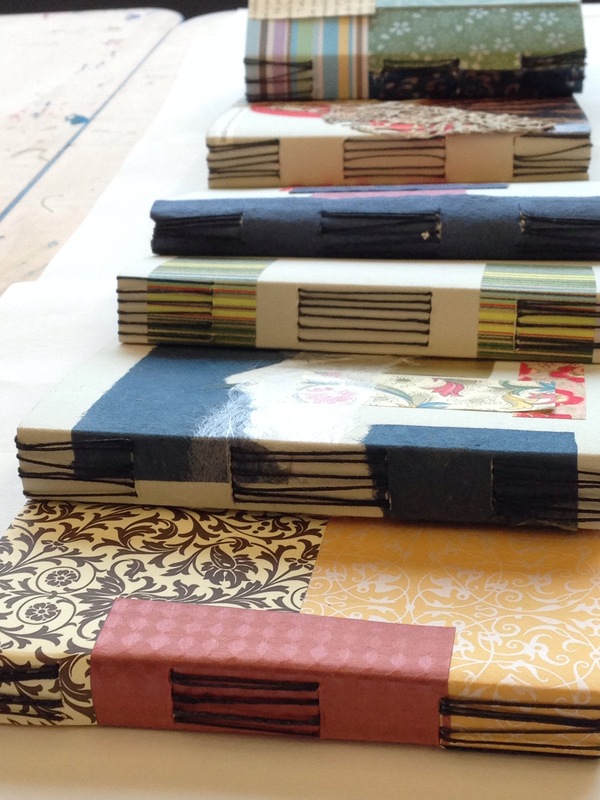 Today I had the pleasure of teaching a bookbinding workshop at the Living Arts Centre in Mississauga. It was a great group with lots of creativity and talent! Everyone left with beautiful books and smiles. 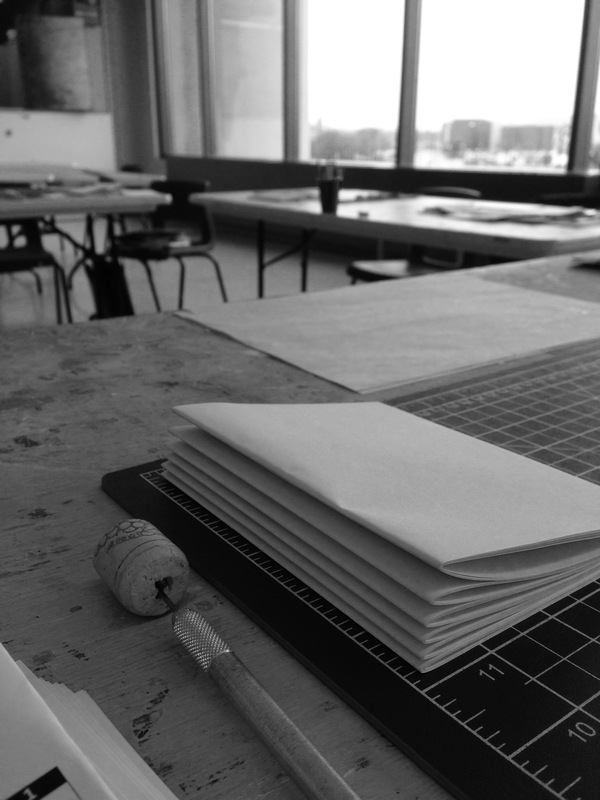 If you want to join in the fun, click the Workshops tab on the top menu bar for a list of upcoming classes. This entry was posted in 365 Project, Artists Books, Book Binding, Studio Sunday, Workshops & Courses and tagged 365 Project, artists books, Arts, blank books, book arts, bookbinding, bookbinding class, bookbinding workshop, handbound books, journals, living arts centre, mississauga, paper arts, sketchbooks, sprouts press, sproutspress by sproutspress. Bookmark the permalink.